On the go? Stay connected 24/7 to Midlands news, weather, sports and more with our FREE app. The ABC Columbia app provides comprehensive news, weather, and sports coverage. Stay updated on headline stories, weather conditions and Gamecock and Clemson sports. Download the ABC Columbia app today! Receive alerts for breaking news, severe weather and school closings. Share news, photos, and video via Facebook, Twitter or email. 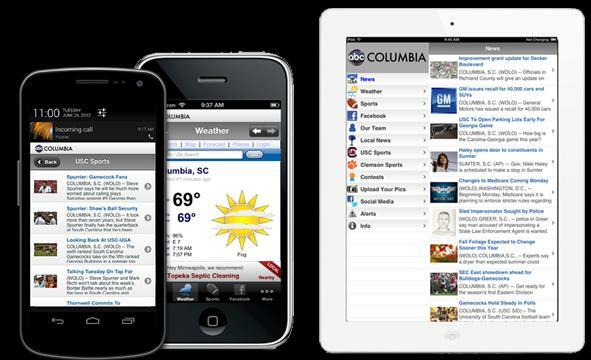 Access ABC Columbia mobile by simply typing m.abccolumbia.com into the web browser on your mobile device.